The Legend is a new flat One-Piece Traction Pad that we designed honouring the Legends that lived among us. The simple, clean One-Piece cut makes sticking it on easy, and keeping it stuck easier. The Legend has a high kick-tail so you can really lean in to your turns. Great for high-performance or daily driver shortboards. 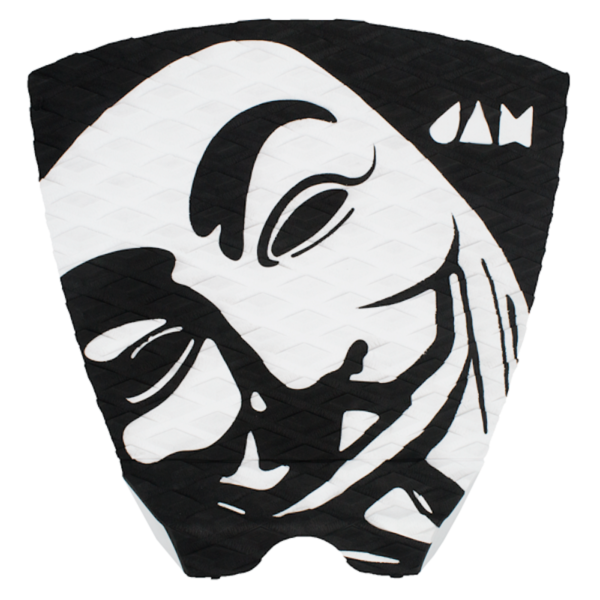 JAM Logo print. Also available in the Anonymous print.